More and more product designers use modern software solutions for the virtual design process. However, the early stage of the design process is done without taking into account the human and his interactions with the product or the machine. Comprehensive analyses of the future product and the related processes require the consideration of the human. 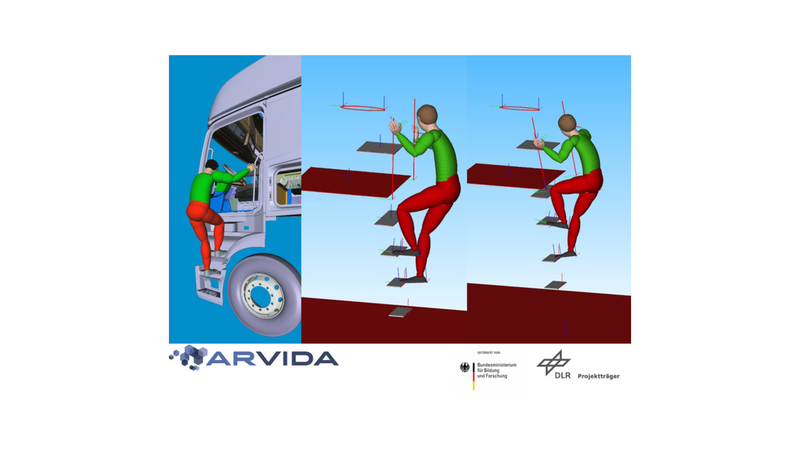 The Institute of Mechatronics is working on a research project of predicting human movements. The motions are generated by adapting a reference motion to other humans or modified dimensions of the product. The predicted movement is available in digital form to be used in different virtual applications. The fields of application include virtual reality systems as well as biomechanical or ergonomic assessments.